Are you looking for mud flaps that will protect your truck or trailer? Luverne rubber mud flaps are perfect for this. They are made out of a heavy-duty 3/8 inch textured rubber. Not only does it protect but it really improves the look of your truck. These mud flaps are available in four different sizes depending on your vehicle. 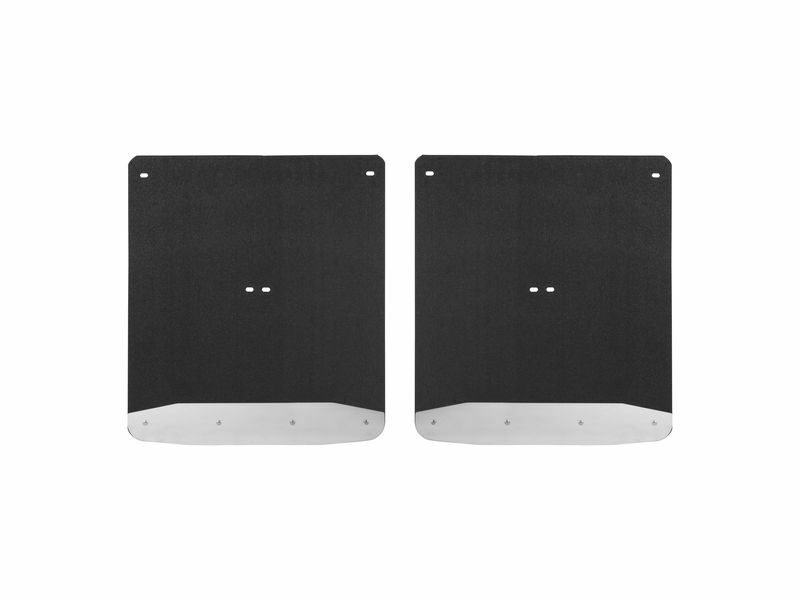 Luverne rubber mud flaps include an 18 gauge stainless steel plate that will definitely bump up the look of your vehicle. Another plus is Installation can be done in a flash. Luverne includes corrosion-resistant mounting hardware with your mud guards. Just check out the installation instructions and you'll have your mud flaps on in no time. Nobody likes chips on your truck or trailer and Luverne rubber mud flaps will stop that from happening. Get a pair today and you won't regret it. Luverne rubber mud flaps are an easy at home installation and will include all needed hardware. For additional information call us at 1-877-216-5446 or 701-253-5906.